As we can say that football is national sport in Italy, it is no wonder that they are among countries in which the fantasy football reached super fast expansion. 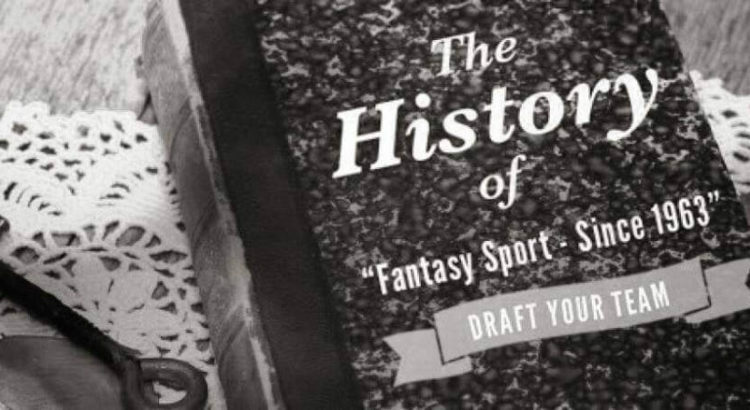 But what is Fantasy Football History? FantaCalcio has been played in Italy for almost two decades now and the journalist Ricardo Albini is considered to be the “inventor” of the game. What he used to do is adjust the rules of baseball which was previously played as fantasy sport in the United States, for the needs of European football, or how Americans like to call it – soccer. Albini also imported the famous Japanese game called Sudoku, I am sure that most of you had encountered on this type of the social game at some point. Fantasy football exists in the States since 1963. It had a slow start for many years, but the long expected boom happened in 1997 after the famous TV company CBS opened the first webside devoted to the game. The success was enormous, forcing all the major sports news companies in the United States to do the same and open new sites favouring the fantasy game. Albini brought the idea to Italy much later, in the end of the 1980s, inspired by the American experience. Fantacalcio tournaments were initially organized among friends exclusively, with the first tournament ever being played during the European Championship in 1988. He faced the major challenge in adapting the American version of the game because the American football is full of numeric statistics which cannot be accommodated into the European football where you only have goals, assists, cards and that’s pretty much it. The idea came on the firm ground after Albini found the lists grading the player’s performances in the games and decided to use the same statistics for his Fantacalcio. He published the Italian Fantacalcio manual in 1990, but according to his words, it did not bring much success all until Gazetta dello Sport dedicated a special section to this beautiful game. Fantasy football then took a slow but steady grow over the years to come, and became more and more popular with the growth of the Internet. Nowadays, there are tens of sites dedicated to Fantacalcio in Italy, the most popular ones obviously being part of the famous media outlets such as The Republic, Gazetto Dello Sport etc. Before the growth of the Internet, Fantacalcio tournaments have been organized among friends, locally. There are such “home game” tournaments nowadays as well, where a group of friends bet a symbolic amount each and the winner takes it all at the end of the day. There are numerous variations on the game, depending on which sites you are using and which country you are from. You can also be happy and find super value tournaments which allow you to earn valuable prizes without risking a penny (so called free tournaments). The points are usually awarded by the team of sports critics and journalists, which is why fantasy football tournaments have became so popular among media outlets. UEFA is thus coordinating two tournaments of fantasy football – Champions League fantasy football and Europa League fantasy football. One of the most popular tournaments is obviously the Barclays Premier League in England, that you can find obviously on Sportito. What does it take for someone to be successful in this game? The most important fact is to forget the team which you support privately, and to be as objective as possible by choosing the players which are really the best – not the ones you prefer. Obviously the luck plays a huge factor, as Albioni would like to state himself. To sum up the story, Albini has made a serious money, selling his Fantacalcio brand to the Espresso publishing group in 2000.